Last month, British chancellor George Osborne announced that driverless lorries will be tested on UK roads. The ‘drivers’ of these 44-tonne vehicles will be computers. Similar tests have already been carried out on cars. For example, since 2009, Google’s self-driving cars have driven 1.3 million miles on all kinds of roads. The results? So far the Google cars have been involved in 18 accidents, but 17 of them were caused by humans driving other cars. Computers are already driving better than people! By 2020, the first commercial self-driving cars will be on the market. All those who hate driving will be happy: they will be able to spend their time in the car reading, sleeping, playing video games… while their car takes them wherever they want to go. We invented machines to do the work that we didn’t want to do ourselves. Industries are full of machines that can do all sorts of tasks better and more quickly than any human ever could. Dishwashers, washing machines, vacuum cleaners… even our homes are full of machines that do our chores. Experts say that this is just the beginning. The first, mechanical revolution is being followed by a second, digital revolution. The new generation of machines, computers and robots will be better than us not just at manual tasks, but also at professional ones: we may soon have robot doctors, teachers and politicians. Some have predicted that robots will take over most jobs within 30 years. The question then becomes: what will we do? Will we live lives of total leisure, or will we become dangerously unemployed and terribly bored? Some say that there are two other, more incredible scenarios to consider. Scenario 1: The AI Apocalypse! Many in the fields of science and technology do not share Hawking’s fears; some even claim that they are dangerous. Every year, the American Information Technology and Innovation Foundation (ITIF) gives the Luddite Award to “someone who seeks to hold back the introduction of new technologies.” The recently announced 2015 winners were Stephen Hawing and others who, like him, have “alarmist” ideas on artificial intelligence. ITIF and other optimists in the high-tech sector such as Facebook’s Mark Zuckerberg believe that an AI will be very beneficial for humanity. They look forward to its invention because they believe it will work for us and solve all our problems. Futurist Ray Kurzweil says that an AI will do even more than that. He believes that we will join with our intelligent machines. We will connect our brains to the AI and become transhumans: immortal super beings, part human and part machine. Never before has our future looked so unpredictable. One thing is for sure: it will be incredible! 1) Read the article and complete the sentences with the correct alternative. all trucks are now driverless. Google will test driverless lorries. Computers-driven lorries will be tested. more car accidents than humans. fewer car accidents than humans. as many car accidents as humans. people who invent new technologies. people who are against new technologies. agrees with Stephen Hawking on the dangers of AI. thinks that Stephen Hawking is wrong. 2) PHRASAL VERBS. Substitute the verbs or expressions in bold with a phrasal verb with a similar meaning. Computers can perform __________________ many difficult tasks. Experts indicate __________________ that they will do many more in the future. Some are afraid that advanced AIs will conquer __________________ the planet. A hostile AI might eliminate __________________ us. This is not a future to anticipate with pleasure __________________. Some say that we have to restrain __________________ the development of AI until we discover __________________ how we can control it. We have to make sure that it can be friendly towards __________________ us. 4) MODAL VERBS. Choose the correct modal verb to complete the sentence. 1. Self-driving cars must/would/may be on sale in 2020. 2. Computers would/can/should count faster than humans. 3. Experts claim that, inevitably, computers would/will/may become sentient. 4. Scientists should/can/will be more careful: their discoveries will/may/must be dangerous. 5. We might/can/must see the birth of a self-aware AI in the next decade. 6. Vacuum cleaners and dishwashers do chores that we will/would/could do ourselves. 7. We can/must/will create a friendly AI, or we could/can/must be in trouble. 8. The future can/will/would be shaped by new technological inventions. 9. Most people would/may/could rather do leisurely activities than work. 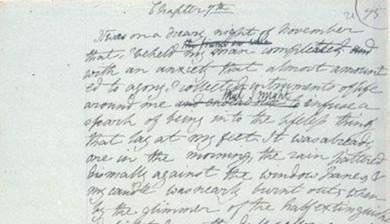 Twohundred years ago, the novel “Frankenstein” was first published. The story of the mad scientist and the monstrous creature he creates has become a classic for many reasons. “Frankenstein” is a revolutionary book that helped create two literary genres: horror and science fiction. But it also conveys a deep, moral message still relevant to modern readers. 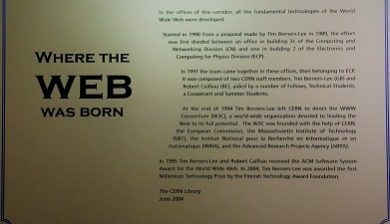 Thirty years ago, a British computer scientist called Tim Berners-Lee went to his boss with a document titled “Information Management: a Proposal”. Tim was working at the CERN laboratories in Geneva and he wanted to help CERN scientists share the information regarding their experiments. Tim’s proposal, that his boss called ‘vague but exciting’, would become the WWW. Finalmente un’attività interessante, ben strutturata, completa, aggiornata……. grazie a lei del suo entusiasmo e del suo incoraggiamento. Grazie del suo riscontro Laura, continui a seguirci! Molto attuale, ottimo training di lavoro in classe e stimolante dal punto di vista giovanile. Tematiche del genere attirano e interessano molto i ragazzi, conducendoli a considerazioni e riflessioni sia soggettive che collettive. Macchine e futuro sono tematiche ricorrenti e accattivanti, che ci appartengono e ci condizionano costantemente nel nostro quotidiano, per cui fermarsi un po a ragionare sui pro e i contro potrebbe essere molto utile, in una altra lingua poi………….! Grazie mille Stefania, il nostro obiettivo è quello di cercare di proporre ogni mese materiale che stimoli riflessioni e discussioni, oltre a sviluppare l’aspetto linguistico. Siamo felici che il progetto le piaccia. Continui a seguirci, a presto! Bellissima attività. Finalmente materiale su argomenti della nostra vita quotidiana!!!! Grazie mille Anna, siamo felici che il materiale sia di suo interesse! Trovo questa vostra iniziativa molto interessante ed ed i testi aggiornati e stimolanti . Non ho trovato il livello linguistico a cui l’attività è indirizzata. Credo che sia molto importante per determinare a quali studenti sottoporre gli esercizi. Continui a seguirci e grazie del suo contributo. un’attività molto interessante ma soprattutto risulta essere stimolante per i ragazzi, ho svolto una lezione laboratoriale su questa tematica nel secondo biennio dell’istituto tecnico indirizzo informatica e telecomunicazione , devo dire che i risultati sono stati ben oltre le mie aspettative. These reading are always interesting and well structured : thanks a lot, I use them for tests. How about trying level B2 or higher?